2. Performance? Effective printing ink cleaner applied and left without the risk of evaporation and loss of cleaning activity. 4. Environment? 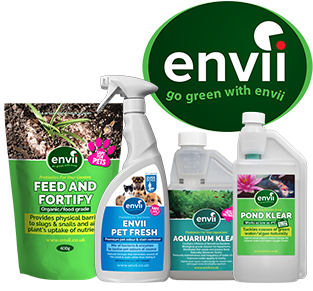 Solvents damage the environment through evaporation and disposal, EN685 is fully biodegradable and reduces impact on environment. 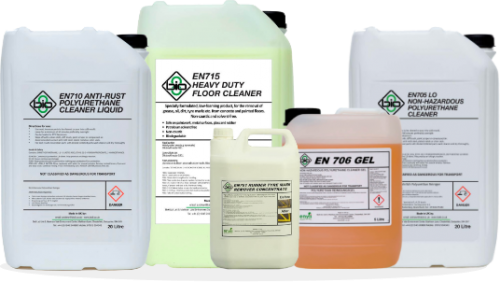 EN685 is a fast and effective cleaner for printing inks and uses 100% energy on cleaning rather than evaporation. 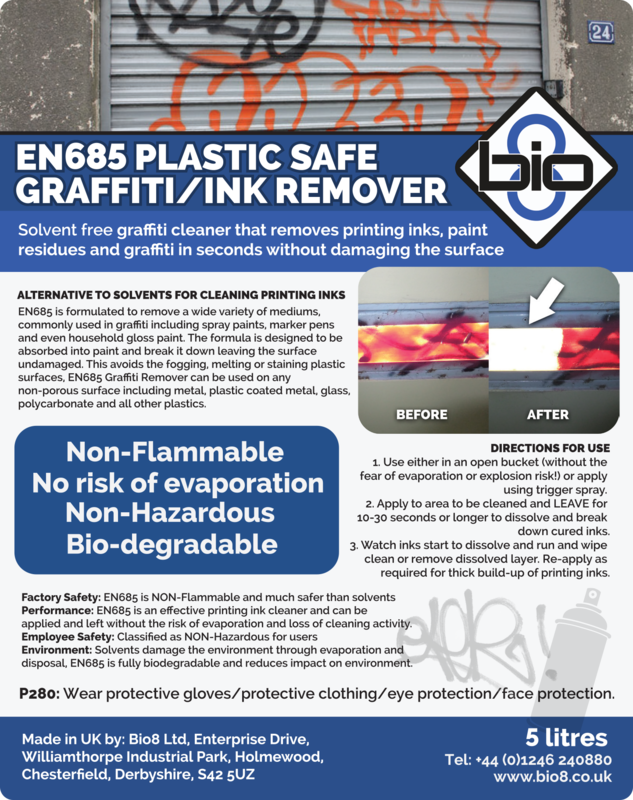 This means that customers use on average 25-30% of EN685 compared to common solvents.Our graffiti remover is plastic safe and therefore, helps clean the Perspex windows on printing machines without fear of making the plastic opaque through burning. Also cleaned floors, printing machines, print rollers and any other item that is contaminated with printing inks. Use either in an open bucket (without the fear of evaporation or explosion risk!) or apply using trigger spray. Apply to area and LEAVE for 10-30 seconds or longer to dissolve and break down cured inks. 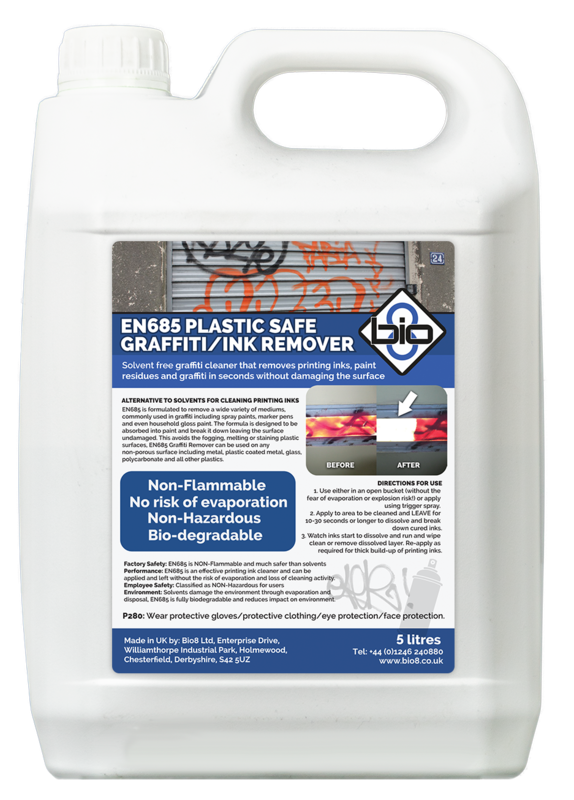 EN685 is also a fantastic product to use as a graffiti remover as it can be used on plastics. Essential when used on soft plastics such as Perspex, PVC, polycarbonate, etc. Clear plastics like these are easily damaged and made opaque when a non-plastic-safe graffiti remover is used to clean them. Because they burn and melt the surface of the plastic. Formulated to remove unsightly graffiti without damaging the surface. Ideal for cleaning plastics susceptible to damage caused by the solvents in contained in traditional cleaners. Also, formulated to remove a wide variety of mediums, commonly used in graffiti including spray paints, marker pens and even household gloss paint. Designed to be absorbed in to paint and break it down leaving the surface untouched. This avoids the fogging, melting or staining the surface. Furthermore, used on any non-porous surface including metal, plastic coated metal, glass, polycarbonate and all other plastics. To conclude, this it ideal for car parts, doors, windows, street furniture, advertising hoardings, public toilets, flooring and bus shelters/timetables. 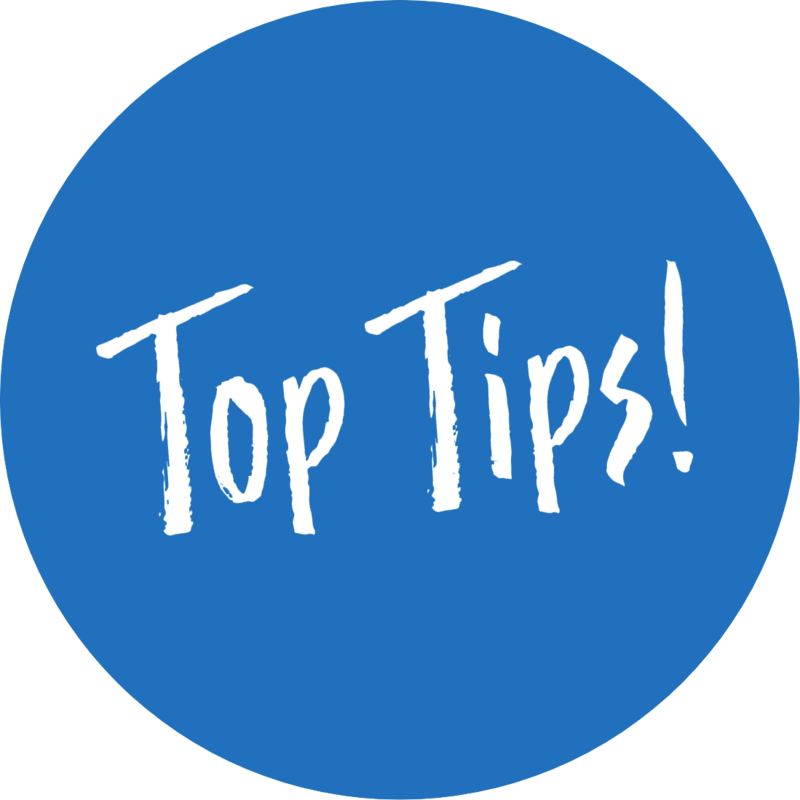 For best results on paint – apply to paint, leave for 10 seconds then agitate surface of paint with soft scourer to break surface of paint. Spray again to allow EN685 into paint structure for faster results! What plastics can this be used on? What do you mean by Non-Hazardous? It contains no Terpenes or NMP. However common sense and good practice means that you should always use gloves and safety glasses! Will it work on brick and stone? Leave for 10 seconds and then agitate/wipe.